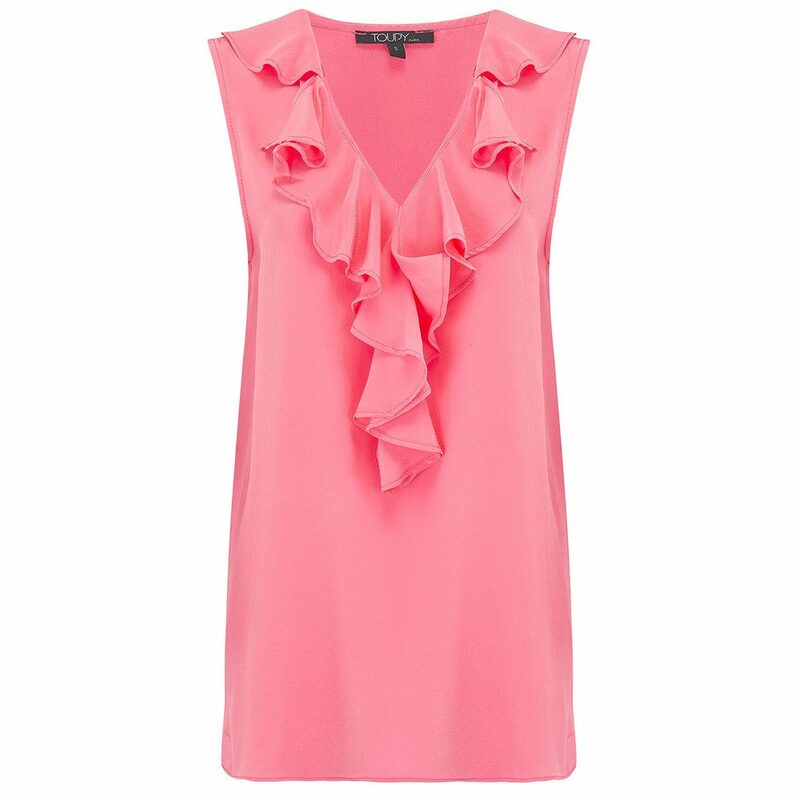 Information about Ruffle Neck Silk Top - Sorbet: Measurements for a Size S - Bust: 90cm Waist: 96cm Length: 67cm The ruffle top in Sorbet from Toupy is designed in a bright pink matte silk, featuring: V neckline with ruffle detailing Loose silhouette Why not dress this feminine luxurious top with a rock edge by layering it with a Rockins printed fringe scarf, pair of J Brand Anja cuffed crop jeans and some tassel detail heels from Sam Edelman. The Dressing Room - sleek, fashion focused website with 5 star boutique service. You might want to have a look around the The Dressing Room website to see what other products they have. Click here to go to the The Dressing Room homepage.